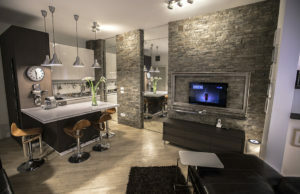 Modern and charming apartment Glory is located in Hilandarska Street near to the New Moment Gallery, in the Belgrade downtown. Here you have great chance to stay in adorable locality marked by a never-changing style. 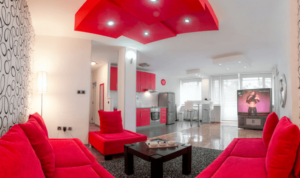 This bright and lovely apartment offers beautifully decorated sleeping room, combined living and dining room, fully equipped kitchen and bathroom. 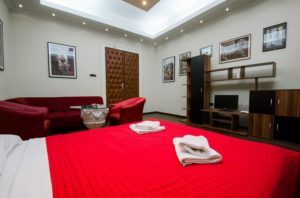 The apartment is equipped with hair dryer, iron, TV, bedding, towels… In addition you can find in apartment: cable TV, internet connection and WIFI.